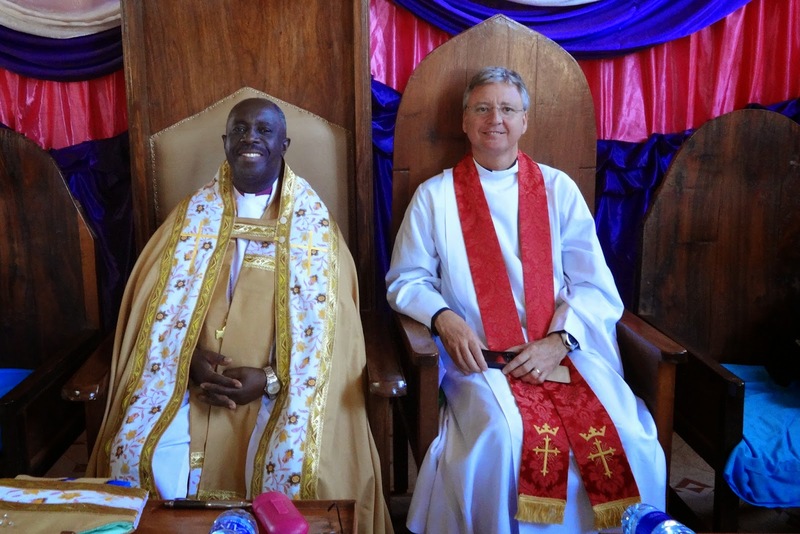 Stephen Lake, the Dean of Gloucester, has just returned home after his first visit to the Partnership, and in fact his first time in Africa. He was welcomed in full African style, with local tribal dancing, singing and giving of gifts - there is enormous respect here for 'important people'. Stephen entered into each new experience with enthusiasm - from preaching in the Cathedral at the ordination of priests, to a trip around the local vegetable market. (not to mention staying with us and quickly becoming an expert on the bucket shower system). This Sunday I have my last sermon here - at the ordination of Deacons. Our leaving parties and events are underway and will continue apace. Needless to say there's still no sign of us beginning to pack! We hope to get to the beach at Kigoma for a couple of nights next week before we fly home.